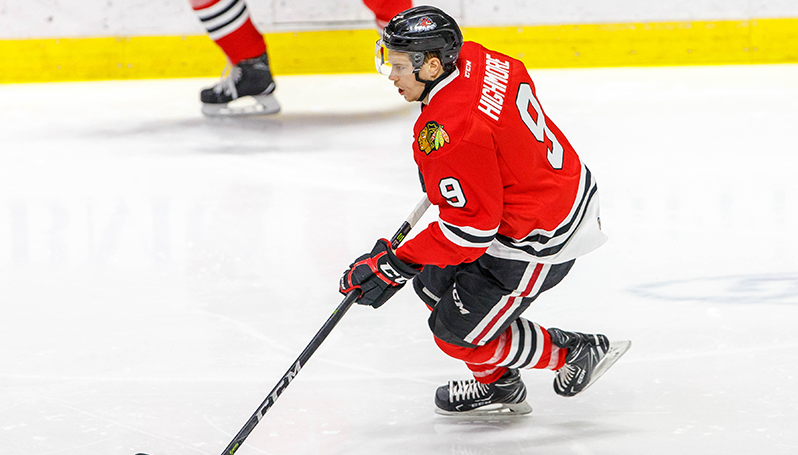 ROCKFORD, Ill. – The Chicago Blackhawks today announced they have assigned forwards Victor Ejdsell, Alexandre Fortin and Matthew Highmore to the American Hockey League’s Rockford IceHogs. Ejdsell, 23, spent the majority of the 2017-18 campaign with HV71 in the Swedish Hockey League where he led the team in goals and finished second in scoring with 34 points (20g, 14a) in 50 games. The 6-5, 215-lbs forward was assigned to Rockford on March 21, and after picking up one assist in five AHL games, was recalled to Chicago for the final six contests of the regular season. Ejdsell then helped fuel the IceHogs’ postseason run to the Western Conference finals with 12 points (7g, 5a) and a franchise-record four game-winning goals in 13 playoff contests. Fortin, 21, skated with the IceHogs for the entirety of 2017-18, compiling 21 points (4g, 17a) in 53 AHL games. The 6-1, 187-lbs forward made his pro debut on Oct. 7 at Cleveland, posted three multi-point efforts during the season and logged a season-high three-game point streak (1g, 2a) from April 7-13. Highmore, 22, was named the IceHogs’ Rookie of the Year last season after totaling 43 points (24g, 19a) and setting the team’s AHL rookie goals record with his 24 markers. The 5-10, 187-lbs forward posted five multi-goal games with the Hogs, including a pair of hat tricks against the Iowa Wild, and concluded the 2017-18 campaign ranked fourth among all AHL rookies in goal scoring. Highmore was recalled by the Blackhawks in February and recorded two tallies over 13 total NHL contests. The IceHogs Training Camp roster now stands at 40 players (23 forwards, 13 defensemen and four goaltenders). CLICK HERE to view an updated roster.